London: Thomas Nelson & Sons. G : in Good condition without dust jacket. Cover heavily rubbed and edgeworn. Some light soiling and marks within. 1858. First Edition. Green hardback cloth cover. 190mm x 130mm (7" x 5"). 438pp. 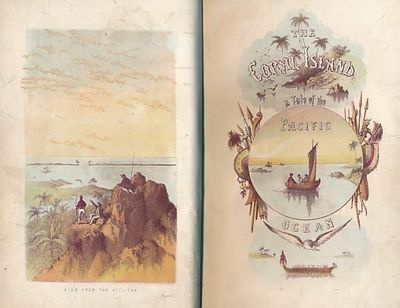 Colour frontis plate and illustrated title page and six colour plates within. First issue. Tipped-in envelope addressed by Ballantyne to his mother to fep. .